LAHORE: The Lahore High Court (LHC) on Wednesday granted interim pre-arrest bail to Leader of the Opposition in the Punjab Assembly Hamza Shahbaz in two inquiries — about the Ramzan Sugar Mills and Punjab Saaf Pani Company — that were initiated against him by the National Accountability Bureau (NAB). A couple of days ago, the court had allowed similar relief to him in another NAB inquiry in which he has been accused of owning assets beyond his known sources of income. The courtroom was crowded with PML-N lawyers and workers when a two-judge bench comprising Justice Malik Shahzad Ahmad Khan and Justice Mirza Viqas Rauf took up the fresh petitions of Mr Hamza. The bench expressed annoyance as the party’s loyalists began taking selfies with the PML-N leader and making noise in the courtroom. 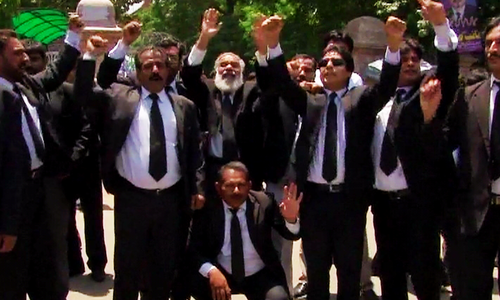 “Why do you come with so many lawyers?” the bench asked Mr Hamza’s lead counsel Azam Nazir Tarar. The counsel replied that the lawyers affiliated to the party had come to the court uninvited. The bench then directed the irrelevant persons to leave the courtroom. 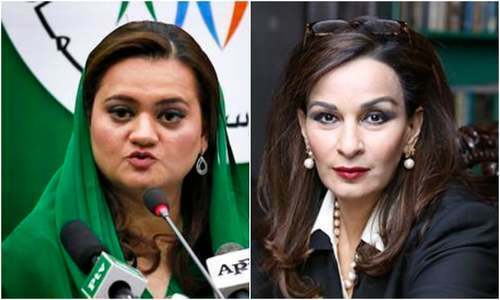 Resuming his arguments on the petitions, Advocate Tarar contended that NAB had filed a reference with the trial court in the Ramzan Sugar Mills case against Mr Hamza while another inquiry, into the affairs of Punjab Saaf Pani Company, was also underway against him. The counsel said that NAB was harassing the petitioner as it had raided his house twice to arrest him in violation of the court’s order. The NAB had summoned the petitioner and there was a possibility that he would be arrested when he would appear before its officers. He said the bureau was “in a habit of summoning people in one case and arresting them in another”. The counsel requested the bench to allow pre-arrest bail to the petitioner. The bench allowed the petitions and granted interim bail to the opposition leader in both the cases subject to furnishing of two surety bonds of Rs10 million each. Further hearing would be held on April 17 when matters relating to a bail in the assets case would also be taken up. Talking to the media, Mr Hamza said he had moved the court because NAB was “used to making surprise arrests”. He said his family had in the past faced the NAB for ten years and had been cleared of all charges. In response to a question, he said Prime Minister Imran Khan had admitted that the country’s economy was “on a ventilator”. The role of NAB in “shaking the country’s economy” would be written in history with “golden words”. Meanwhile, Mr Hamza skipped a NAB hearing pertaining to its inquiry into his assets. He had been summoned by the Lahore chapter of NAB. The PML-N did not give any reason for Mr Hamza’s absence from the hearing. Earlier, the PML-N leader had claimed he had appeared before the NAB staff whenever they had summoned him. NAB claims to have arrested a ‘key frontman’ of Mr Hamza and his brother Salman, who allegedly laundered over Rs500 million on their behest. Referring to Mohammad Mushtaq’s arrest, NAB said it would serve to strengthen the case against the two sons of PML-N president Shahbaz Sharif.